What makes a holiday truly unique? Many different things: the country and the pleasant people, perfect vacation weather and delicious food – culinary treats of lasting value. For such delights, you need products of the highest quality – organically grown and lovingly processed. 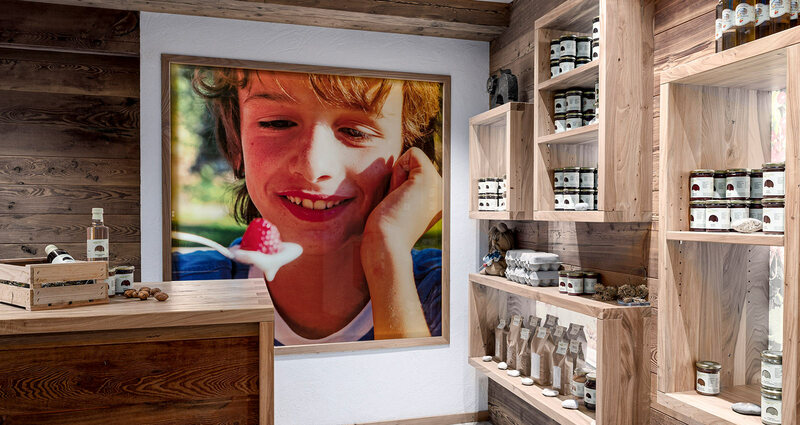 Thus, in our farm shop at the farm Frötscherhof you will find plenty of organic products from own production. They offer you the powerful energy of our region and are as healthy as our lush meadows and clear mountain air. Our natural organic products will improve your holiday and bring hearty and delicious flavours on your plate. In the farm shop, we offer – among other products – fresh cow milk, South Tyrolean farm bread, salt with aromatic herbs, homemade yogurt, organic spelt grain, spelt meal, chutney, apple juice and eggs from free-range chickens. Even sweet temptations, such as jams, fruit juices and syrups from own berries are available. Every day, our bakery supplies fresh bread rolls and crunchy bread from the wood oven – simply perfect for your breakfast table. The delicious wholegrain spelt bread is homemade. Just try it, and you will see how wonderfully surprised your taste buds will be! Perhaps in our farm shop you will even discover a nice souvenir for your loved ones at home? For your carefree, pleasant holiday here with us, in the morning, we are happy to deliver a breakfast basket filled with all the delicacies from the farm garden and the bakery to your door. For a delicious start into the day! Look forward to a rich farm breakfast with natural products from the farm shop. You will be amazed. 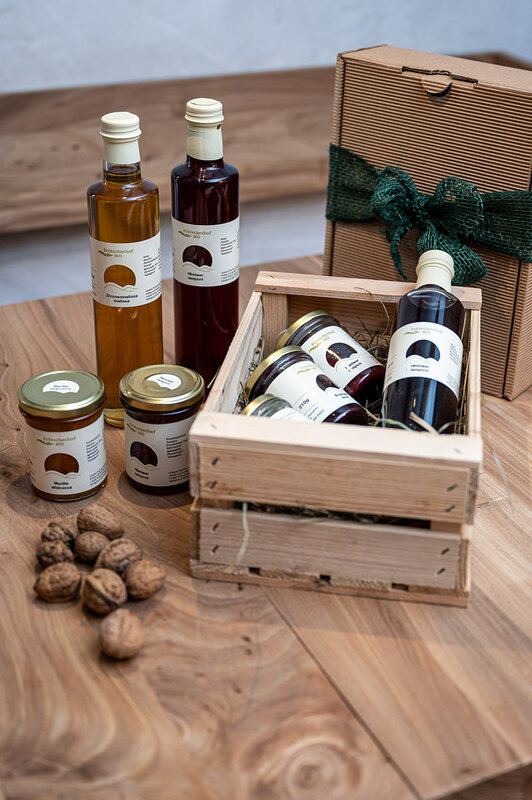 By the way, our organic products are so popular that from 9 am to 1 pm – from June to November – we also offer them at the farmers’ market in Bressanone. Homemade products are simply the best!